to settle in the Wild West. 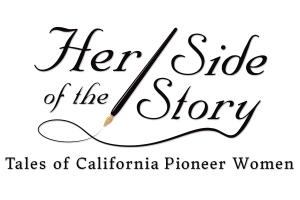 Among the treasures in the archives of The Society of California Pioneers are rare, first-person narratives of pioneer women. The Association of Pioneer Women of California united in 1900 to ensure that future generations would recognize and acknowledge the role women played in the formation of the state. They collected and preserved the experiences of its members in an unpublished, handwritten book. 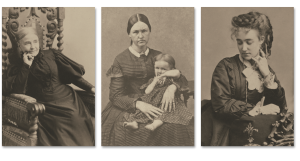 These remarkable stories are the foundation of this exhibition and online resource for teachers. Also featured in the exhibition are quilts, photographs, letter sheets, and artifacts from the 1849 California Gold Rush era.